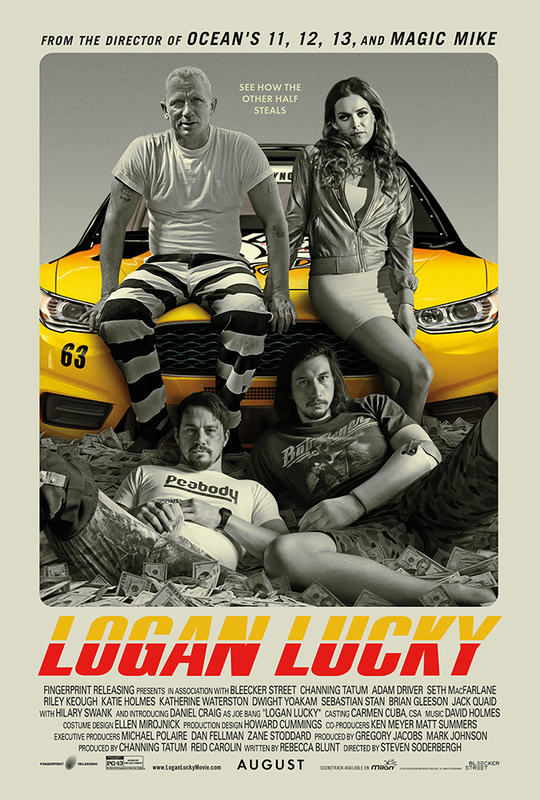 Steven Soderbergh’s “Logan Lucky” is a high-spirited, low-down blast. It’s a let’s-rob-the-racetrack heist comedy set in that all-American place that even rednecks would have no problem calling redneck country: the land of NASCAR and child beauty pageants, spangly long fingernails and roadside biker-bar brawls, and — these days being what they are — chronic unemployment and spiritual stagnation. (Hey, nothing’s perfect.) And West Virginia family man Jimmy Logan teams up with his one-armed brother Clyde and sister Mellie to steal money from the Charlotte Motor Speedway in North Carolina. Discussion to follow with members of the Nederland Sustainability Board.